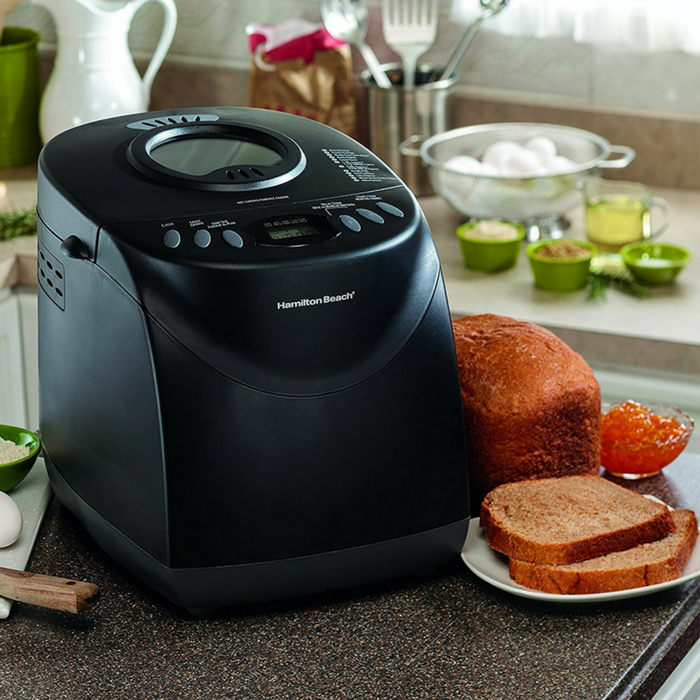 Hamilton Beach 2-Pound Bread Machine Just $41.21! Down From $80! PLUS FREE Shipping! You are here: Home / Great Deals / Amazon Deals / Hamilton Beach 2-Pound Bread Machine Just $41.21! Down From $80! PLUS FREE Shipping! Amazon is currently offering this Hamilton Beach 2-Pound Bread Machine for just $41.21 down from $79.99 PLUS FREE shipping! The Hamilton Beach HomeBaker 2 lbs. Bread Maker allows you to turn your home kitchen into a professional bakery with hardly any work required. Just add in the properly-measured ingredients, choose the appropriate cycle, and start. In no time, you’ll be enjoying a loaf of a piping hot, crispy bread. Whether you’re looking to make pizza dough with hand-tossed delicacy or a difficult gluten-free recipe, this bread-maker is here to accommodate. Different crust settings allow you to select the darkness of the final product. An alarm lets you know the right time to add in mixers. A jam setting lets you make homemade spreads to slather on your steamy slice.